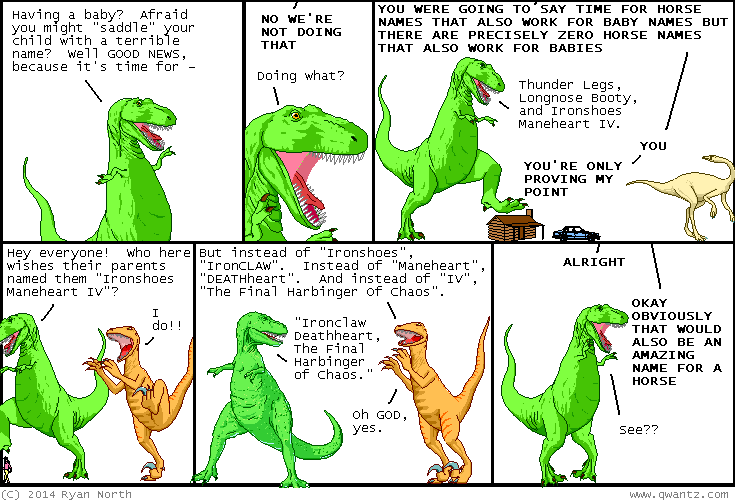 Dinosaur Comics - August 28th, 2014 - awesome fun times! –In most cases, that's not balanced at all! August 28th, 2014: There is a band called DAMSEL TRASH and they made a song called "Feelings R Boring" which you can listen to right here! It's PRETTY GREAT, and you probably recognize it from this comic / this shirt / this book. I also liked More Drunk, Less Pregnant. Check 'em out!